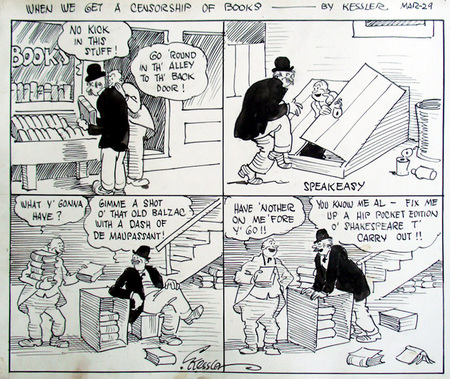 Camillus Kessler (active 1920s), When We Get a Censorship of Books, no date [ca. 1925]. Pen and ink drawing. Graphic Arts Collection GA 2012.02310. Gift of Charles Rose, Princeton University Class of 1950, P77, P80. 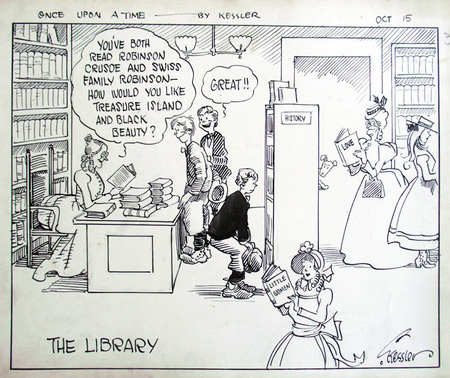 Camillus Kessler (active 1920s), Once Upon A Time: The Library, no date [ca. 1925]. Pen and ink drawing. Graphic Arts Collection GA 2012.02282. Gift of Charles Rose, Princeton University Class of 1950, P77, P80.